DURING THE FIRST EDITION OF YOGANACHT AMSTERDAM! YogaNacht promises to be a vibrant night where yogis and non-yogis discover what Amsterdam has to offer related to yoga, meditation and healthy food. Dozens of yoga studios and yoga related shops, in all parts of Amsterdam, open their doors between 17.00-23.00 hrs. with a wide variety of activities like; yoga with live music or a DJ, food related talks, yoga talks, yoga &amp; dance, meditation specials, intermediate workshops or specific beginner classes. The night will end all together with an energetic rave at Club Lite. This is your chance to explore multiple yoga studios, experience new classes and meet interesting people. One YogaNacht ticket gives you access to all participating locations for the whole evening AND it is your entry ticket to the closing party at Club Lite. If you’re new to yoga this is the moment to see what it’s like to be inside of a studio. It promises to be a great night filled with inspiration, and for once Amsterdam will be all about yoga. Saturday September 10th 2016 will be the day for the first YogaNacht Amsterdam! This night many yoga studios and related companies in Amsterdam will join forces and open their doors for all those who are interested, so for one night Amsterdam will be all about yoga. All areas in Amsterdam are represented, North, East, South and West. Therefore it promises to be and amazing and inspirational night with a great yoga minded program. 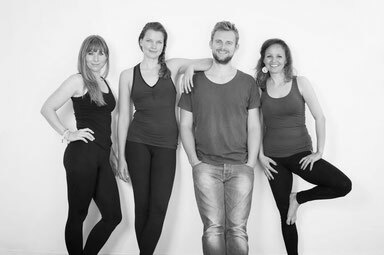 YogaNacht is a foundation, founded by Sina, Esther, Viki and Ruben, owners of Tula yoga studio and Yogaschool Noord in Amsterdam. What we want to achieve with YogaNacht is to connect the yoga studios in Amsterdam and introduce as many people as possible to these studios. A night in where hundreds of people will be enjoying yoga at the same time. A night that will end with a dynamic and energetic rave, together! Our mission is to bring people together and stimulate a happier and healthier way of living.